As if airlines misplacing your luggage isn’t enough, many of us are guilty, at some point in our travels, of losing track of our own bags in the airport. Also, lifting heavy weights across the lengths of terminals is so passé. So, we asked for a solution, and they delivered! Among the barrage of high-tech products released at CES 2018 such as microLEDs, smart home security systems and puppy-bots, was the “world’s first self-driving carry-on”, a suitcase being called CX-1 created by Chinese manufacturer, ForwardX Robotics. 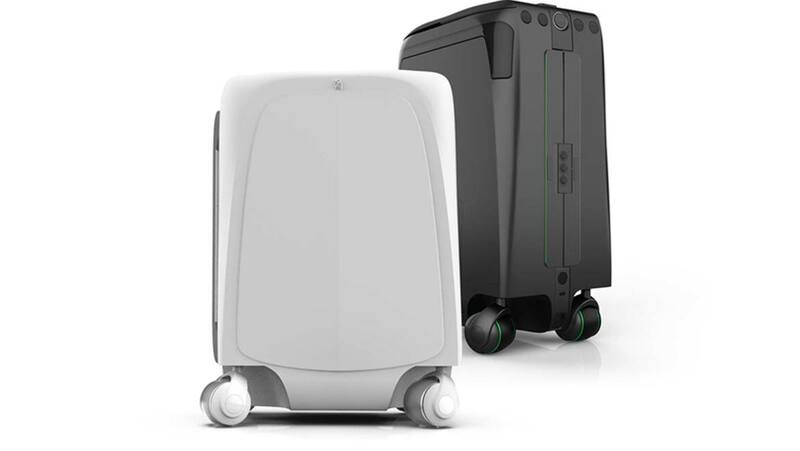 With features such predictive navigation, facial recognition and artificial intelligence, this autonomous piece of hand luggage is meant to follow you around, whether you are keeping an eye on it or not! A prototype of the companion suitcase was launched at the consumer tech event in Las Vegas this year, and it was tested by several enthusiasts. CX-1 rolls on its wheels at a constant speed of 7 mph, and is embedded with a 170-degree wide angle lens camera and facial recognition software that tracks and follows any movement of the user, within a certain range, whilst also avoiding obstacles. The Visual Sensing technology also allows this product to respond to gestures. ForwardX claims that the CX-1 can perform on any terrain owing to its four-wheel drive. These functions were enabled with the help of deep learning “self-driving” algorithms. While experimenting, when one tester suddenly scurried out of view, a connected smart wristband was able to return the case to its original position. An alert, or “smart alarm” on this bracelet could also keep from bags getting stolen. The charger in the case has been installed with a removable battery that allows for powering up on-the-go, and easy accessibility during security checks before boarding airplanes. The company is likely to release this smart suitcase in the summer of 2018 via a Kickstarter campaign priced anywhere between $300 and $400, although there has been no confirmation yet. Until it hits the market, let’s admire this trendy, revolutionary four-wheeler and hope to own it someday in order to lessen the burdens of our journey!